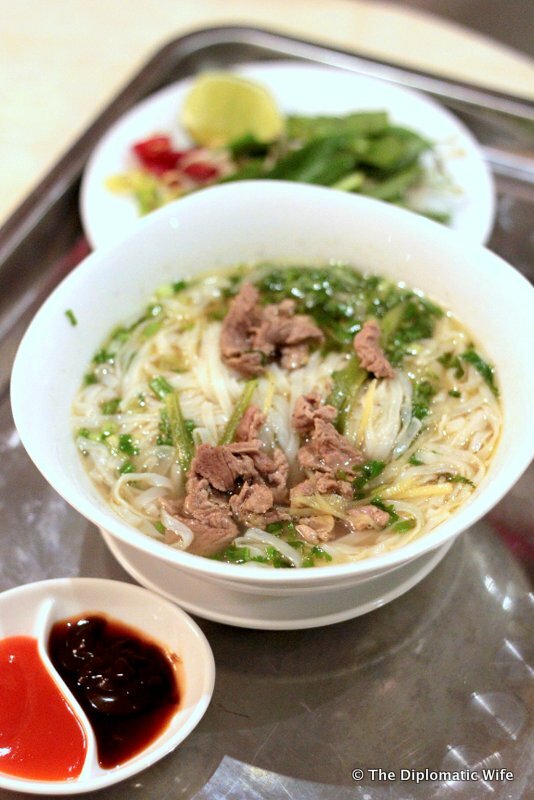 TD and I absolutely love Vietnamese noodle soup or Phở, specifically the beef noodle soup called Phở Bò. 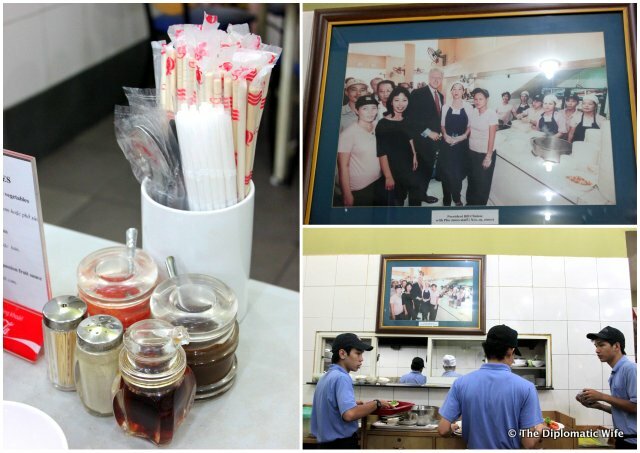 It was our default order in Ho Chi Minh, when we didn’t know what was good to order. We arrived in our Hotel late at night too tired to go out and look for a bite. 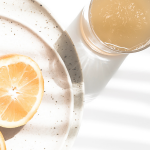 Solution: room service at. It wasn’t much to look at serviced in a cafeteria style aluminum tray but that soup was just amazing. 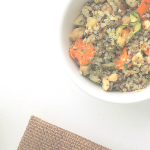 So flavorful, you know that it’s been cooking for hours. The beef was lean just the way we like it and the herbs and other condiments were fresh. 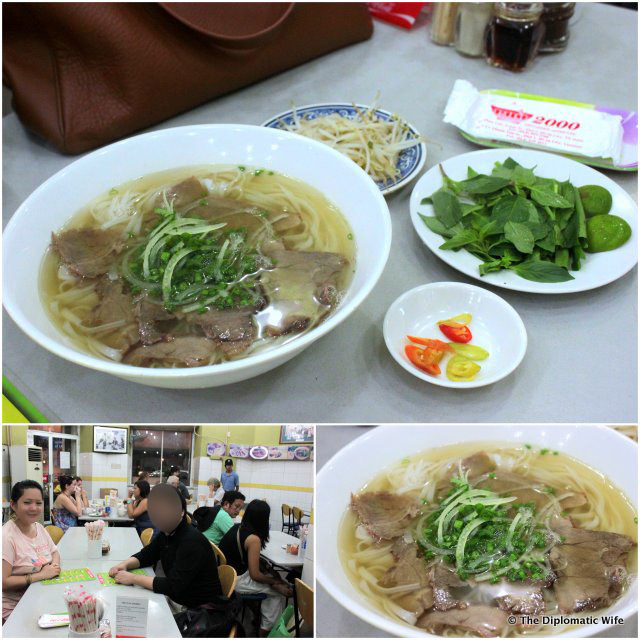 After an evening walking around and haggling in the Bến Thành Market we were famished and went to nearby Pho 2000. 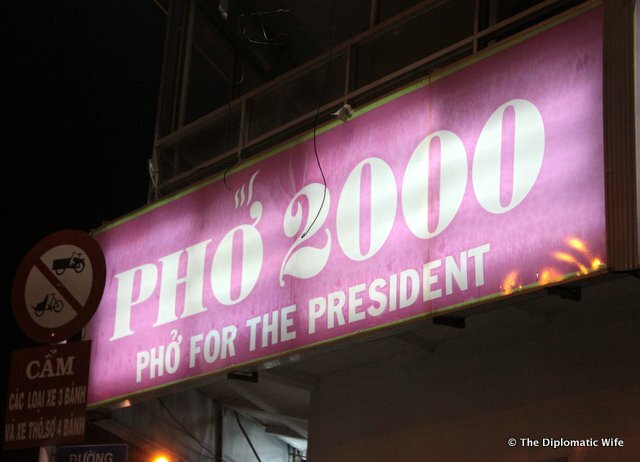 Their tagline is Phở for the President, because of their claim to fame of being visited by President Clinton in November 2000. It has seen better (and cleaner) days. (Do not, I repeat do not use the toilet unless it’s an emergency.) 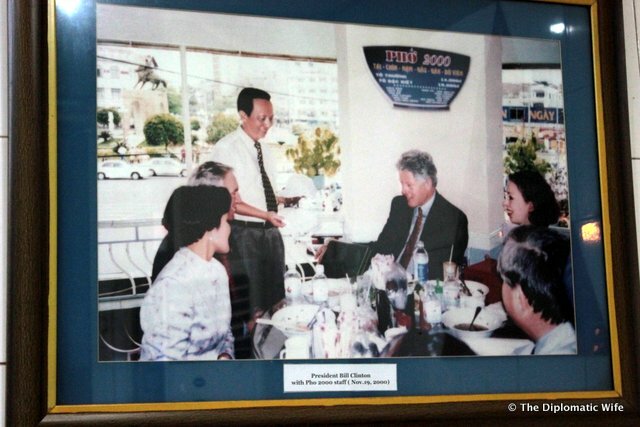 The Phở Bò was average and the condiments weren’t very fresh. But we were hungry so we dumped tons of hoisin and ate it up! 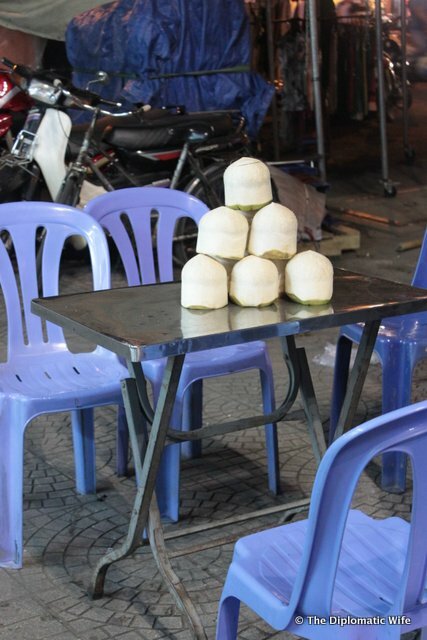 As we walked outside Pho 2000 we noticed these nice outdoor seats with fresh coconut juice and Pho 24. We sorta wished we had eaten here instead coz it looked nicer, newer and cleaner. Maybe next time! Our last Phở Bò was at the airport while waiting for our flight. We chose this restaurant because I just wanted one last bowl of Phở Bò before we left and it seemed like a nice quiet place to sit. 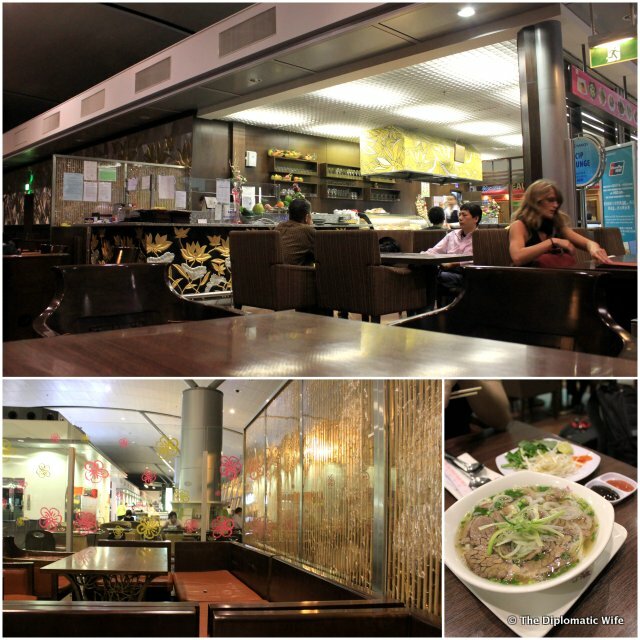 It wasn’t as good as the first one we had at La Jolie hotel but I am always just happy to split some Phở with TD. 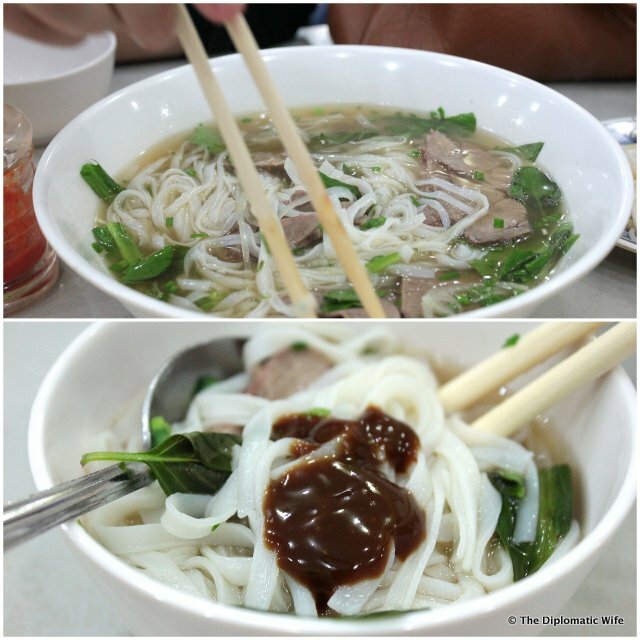 #DiploTips: Pronounce Phở like a local and say fuh with a very soft r sound at the end. 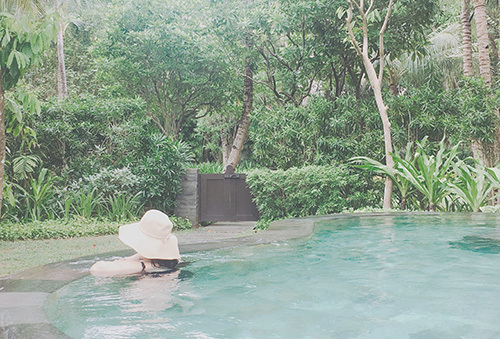 Listen to the audio guides here and you will know what I mean. 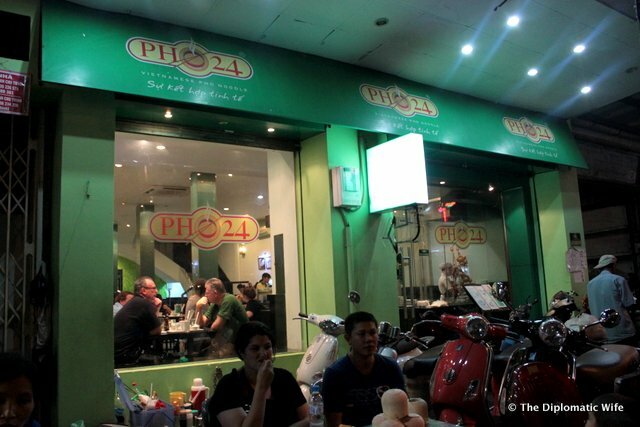 We didn’t get to really ask people where to find the best Pho in HCMC. 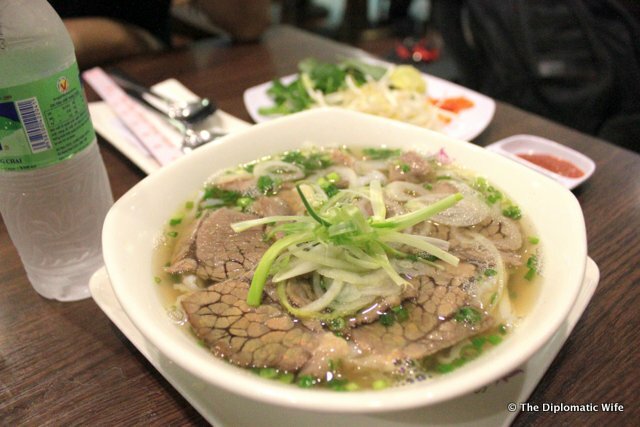 I am still hoping to go back so I’d love to know your favorite place to get Pho is in Ho Chi Minh? Drop me a line! Yes in fact there is! We used to go to Vietopia in Senopati but I heard yesterday that it had closed down already. Hopefully this branch is not yet closed: Cikini Raya No. 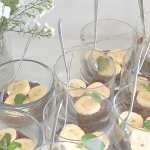 33 Cikini Menteng Jakarta Pusat DKI Jakarta (0)21 391 5893. However Lang Viet restaurant (near Dharmawangsa Square) I feel serves better food. you should definitely check it out!